Standing on the steps outside Paresky, we all see the same view: a white church framed against the picturesque Berkshire mountains and Williamstown sky. Many of us have walked by this scene every day without consciously observing the view. But now, it has its own Instagram account. 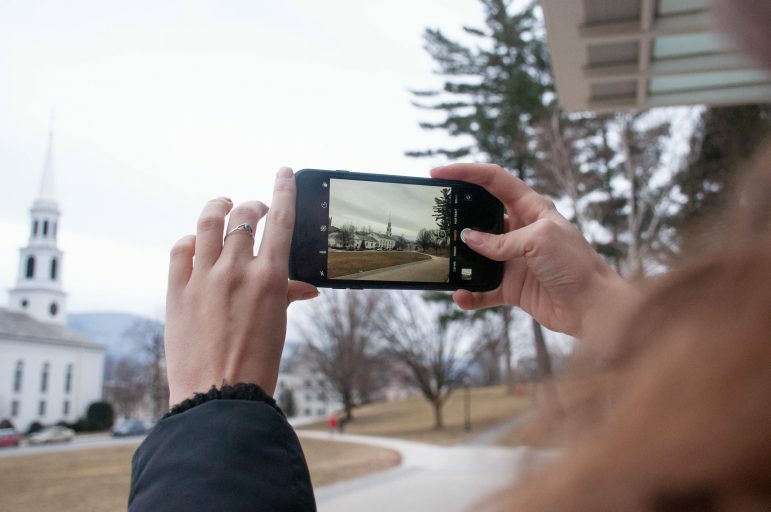 Created by Rebecca Van Pamel ’19, @thesameviewfrompareskyeveryday is an Instagram account featuring daily photos taken from outside Paresky. As of press time, the page has 68 posts and 125 followers, although it is gaining traction as more students and alums discover it. Van Pamel launched the account on Oct. 30, but she began taking photographs of this scene three years earlier. More recently, as a senior sentimentally taking photos of her final fall on campus, Van Pamel realized that most of her pictures of the campus were of this scene. She decided that she wanted to keep these pictures somewhere, so she created the account, where she now uploads a daily photo of the iconic image. While she would originally take pictures at any time of the day, she has now developed a preference for taking them between 3:45–5:00 p.m.
Van Pamel has been remarkably consistent in running the account. She has managed to upload at least one photograph every day she has been on campus, though she will occasionally ask friends for assistance with taking the photos if she cannot get to Paresky before the sun sets. Because one cannot upload photos to Instagram from a computer, Van Pamel sent the photos to her boyfriend, who was studying abroad but knew the password to the account, so that he could upload them for her. In spite of this dedication, there have been days when Van Pamel has been occupied with work and has had to upload a throwback photo from her sophomore or first-year days. Day Eight also has two photographs: one taken in the morning, and one taken when the now-famous double rainbow appeared. Although she started the account for herself as something to look back on after she graduates, it now counts among its followers alums and other College offices, such as the Williams Libraries and Williams Outing Club accounts. If any reader would be interested in continuing the account once Van Pamel graduates, they may contact her at rkv1@williams.edu. “If this is something for alums to see [in] reminiscence, then it is something valuable to continue,” she said.